require 5-7 players, and take about 5-8 hours to play. We would likely play on a Saturday, much like we did our recent draft. The following games are ones that I own and could teach to new players. If you have another idea then, please leave a comment. The Sword of Rome includes rules and events for city loyalty, Roman colonies, tribal raids, Gallic indiscipline, Greek siege craft, Indian war elephants, Roman and Macedonian-style infantry tactics, the mountain fastness of Samnium, and much, much more. The game covers over 100 years of classical history in just 9 hands of cards. The interplay of each power’s special strengths, of the strategy decks’ 152 event cards, and of up to four players’ diplomatic acumen provides unlimited variety. But the rules remain at low-moderate complexity, and the familiar, underlying system is easily mastered. Diplomacy is a strategic board game created by Allan B. Calhamer in 1954 and released commercially in 1959. Its main distinctions from most board wargames are its negotiation phases (players spend much of their time forming and betraying alliances with other players and forming beneficial strategies) and the absence of dice and other game elements that produce random effects. 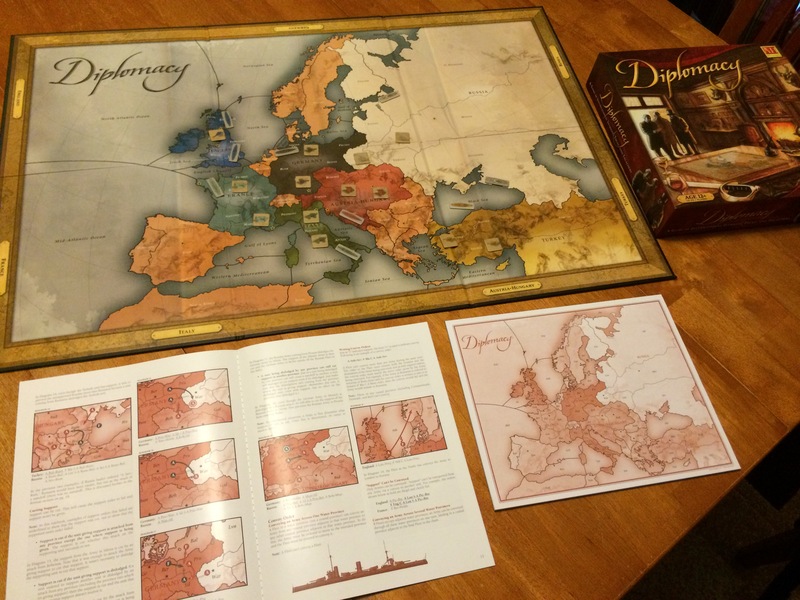 Set in Europe before the beginning of World War I, Diplomacy is played by two to seven players, each controlling the armed forces of a major European power (or, with fewer players, multiple powers). Each player aims to move his or her few starting units and defeat those of others to win possession of a majority of strategic cities and provinces marked as “supply centers” on the map; these supply centers allow players who control them to produce more units. So, what do you think? Any of this sound fun to you? If so, cast a vote (or two.) And let’s see what most people want to play. And assuming we get enough interest in playing the game, we will put out a series of days that we can play on and get a game scheduled. Oh, and if you do cast a vote, leave a comment, so we know who is interested. Vote here, on a mobile device.